The coffee chain Australians rejected is now serving an Australian espresso drink. As an Australian living in New York for the last five years, I’ve watched with great pleasure as third wave coffee culture has blossomed. And with some pride, too—we Australians have helped create the demand for better coffee, and some of us even opened our own cafes to meet that demand. Antipodeans are renowned coffee snobs, and although we’ve bashed America’s coffee culture for years, the truth is if you live in a major U.S. city these days it’s not hard to locate a decent cuppa. 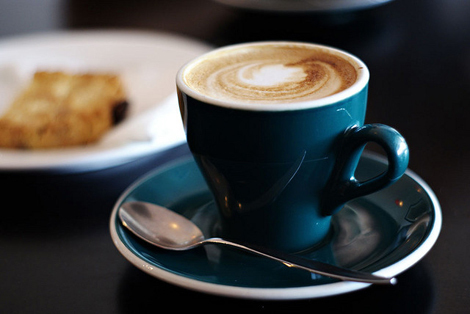 But the Australian influence on American coffee culture has now come to this strange juncture: from tomorrow, the flat white is becoming a permanent item on the Starbucks menu. This elicits a number of complicated emotions, because Starbucks is the figurehead upon which Australian scorn of American coffee has traditionally been heaped. Starbucks entered the Australian market in 2000 and business was so bad that it essentially pulled out in 2008, closing 61 of it’s 84 stores (the remainder were recently licensed to 7-Eleven’s parent company). The Sydney Morning Herald published a post entitled Next time try selling ice to Eskimos, which gives you a sense of the national indignation that arose around it. When Starbucks announced it would this week introduce the drink in U.S. stores I almost choked on my Espresso Alchemy Flat White. I rapidly cycled through a range of emotions, from “how dare they take this cultural icon?” to “they couldn’t pull it off,” before deciding that imitation is the sincerest form of flattery. However, the accuracy of this imitation is difficult to measure, since there is no standardized definition of what a flat white is. Even the origins are unclear, with Australia and New Zealand both claiming to have invented it. Melbournian barista Gary Dickson defines a flat white in the Sydney Morning Herald as velvety milk poured over a ristretto shot, with a thin layer of microfoam on top (instead of the more aerated froth found on top of Australian lattes and cappuccinos). But Blue Bottle Coffee’s director of training Michael Phillips told Bon Appetit that a modern American cappuccino is essentially the same as a flat white; and Australian coffee blogger Jennifer Murray backs that up with the assertion that a flat white is “comparable to an American latte,” noting that cup size and the use of a single or double shot varies between cafes and baristas. 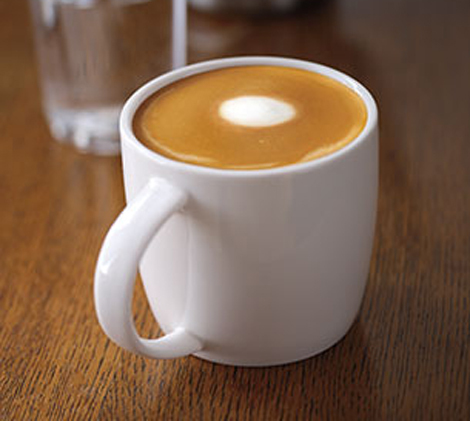 At Starbucks, a flat white consists of “two ristretto shots, topped with a thin layer of velvety steamed whole milk and finished with a latte art dot,” according to a spokesperson. (A ristretto is the first, most concentrated part of the espresso shot.) While that sounds legit, as an Australian coffee snob I’m just not sure I can bring myself to order a flat white at a place that’s famous for venti pumpkin spice lattes. But as an Australian coffee snob, I also have to give the company kudos for upping their game. Good on ya, Starbucks.